Welcome to New England Carbide, Inc.
New England Carbide is one of the leading providers of crush form rolls, forming rolls, and other precision carbide tooling. We specialize in the design and fabrication of tungsten carbide, ceramic and high speed steel tooling, as well as provide regrind services. 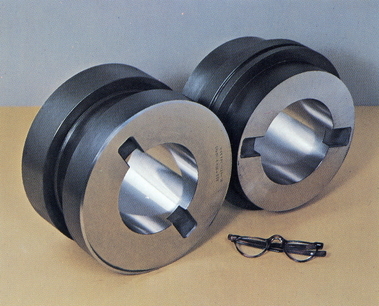 New England Carbide manufactures crush form rolls of tungsten carbide, boron carbide, and steel for use in dressing grinding wheels on all crush form grinding equipment, including Sheffield, Matrix, Royal Masters, Magerle, Van Norman, Landis, Norton, Cincinnati, Do-all, Ex-Cell-O, Elbe, J&L, Blohm, Reishauser, and others. New England Carbide has a variety of grinding capabilities to meet the needs of our customers. 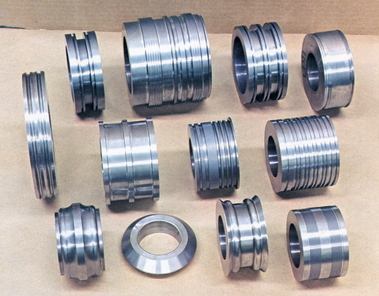 We specialize in precision grinding applications, holding tolerances of +/- .0001 in tungsten carbide, boron carbide, ceramics, and high-speed steels. Although "carbide" is in our name and a specialty of ours, we have extensive experience designing tooling and parts in other materials as well, such as tool steel, high-speed steel, ceramics, and abrasion-resistant thermally-coated materials. Of course, we are extremely familiar with the various grades of tungsten carbide and boron carbide and can help our clients choose the proper material to meet their project objectives. New England Carbide maintains a three-step inspection process: receiving or pre-inspection, in-process, and final inspection. Our inspection capabilities include optical comparators with up to 100X magnification, profilometers, hardness testers, light wave micrometers (to 10 millionths of an inch), and surface roundness testers (to 5 millionths of an inch). Our decades of experience enable us to provide the proper design and fabrication solution to meet the needs of our customers.